Dance/movement as active imagination was originated by Jung in 1916. Developed in the 1960s by dance therapy pioneer Mary Whitehouse, it is today both an approach to dance therapy as well as a form of active imagination in analysis. In her delightful book Joan Chodorow provides an introduction to the origins, theory and practice of dance/movement as active imagination. 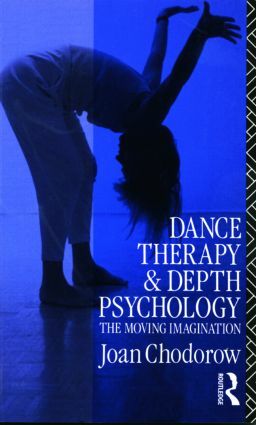 Beginning with her own story the author shows how dance/ movement is of value to psychotherapy. An historical overview of Jung's basic concepts is given as well as the most recent depth psychological synthesis of affect theory based on the work of Sylvan Tomkins, Louis Stewart, and others. Finally in discussing the use of dance/movement as active imagination in practice, the movement themes that emerge and the non-verbal expressive aspects of the therapaeutic relationship are described.